Armourcard Actively and electronically jams RFID signals communicating on the most common frequency (13.56Mhz) for contact-less devices like credit cards & ePassports. Armourcard is the only product to have and require FCC (Federal Communication Commission) approval and certification because we actually emit a electronic jamming signal. Do your research and you will find that passive imitations do not protect your data like Armourcard. Armourcard has it’s own power source and does not rely on being powered up by a radio wave to instigate the active jamming. This gives Armourcard’s an Active jamming field of a huge 6 inches or over 150mm ( 3 inches or 76 mm each side of the Armourcard). No other passive card like devices can offer that much protection proximity field. You are still able to use ‘Tap & Go’ payment terminals, (you can temporarily disable Armourcard jamming signal and use the facilities as normal.) Just disable then ‘Wave & Go’. You get the best of both worlds. The great convenience of tap & go for payments without the security problems that go with that convenience. 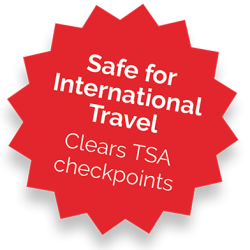 Knowing that you have the most superior electronic protection in place to protect you from electronic pickpockets, high-tech hijacking and even identity theft. Armourcard fits into any wallet or purse just like normal cards but gives you the most superior protect on the market. Armourcard also protects ePassports, in-fact Armourcard will protect any RFID device that uses the frequency 13.56Mhz to communicate over. As we electronically jam that frequency so your data is protected. 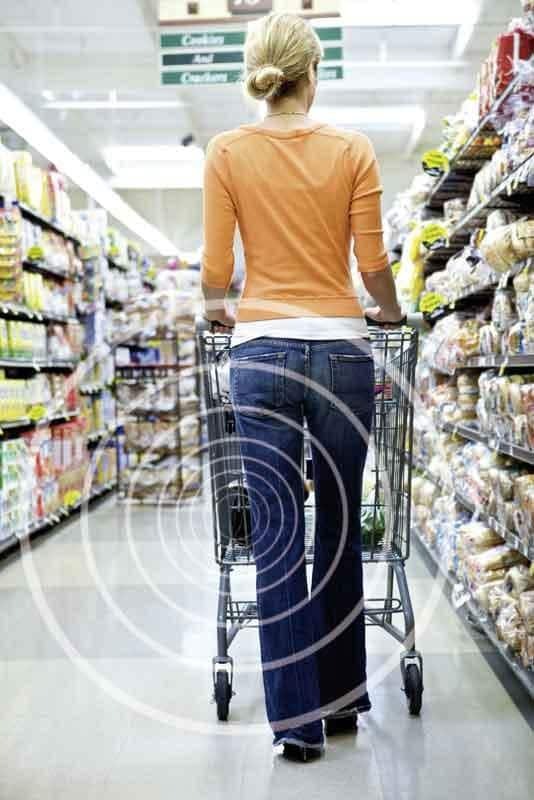 Born out of security concerns surrounding RFID technology roll-out. Armourcard was developed due to concern over how easy RFID technology could be compromised. RFID technology and the security risks associated with it are well documented, just do a search on google for RFID security breaches you will find loads of examples. Financial institutions, governments and big business have implemented this technology with a global push over the last few years, they have assessed the risk to there business and the profit or benefits far out weight the risk for them. RFID technology is here to stay regardless of the risks. That maybe fine for them and the big end of town where the risk is acceptable verses profit, but we were not comfortable with our personal data at risk at any level and a breach of our personal data for us is a major issue to us and NOT to them. After doing some research around RFID and the security issues and products^ currently on the market to protect you from ePickpocketing. We realised they were not good enough to risk our own personal data with. 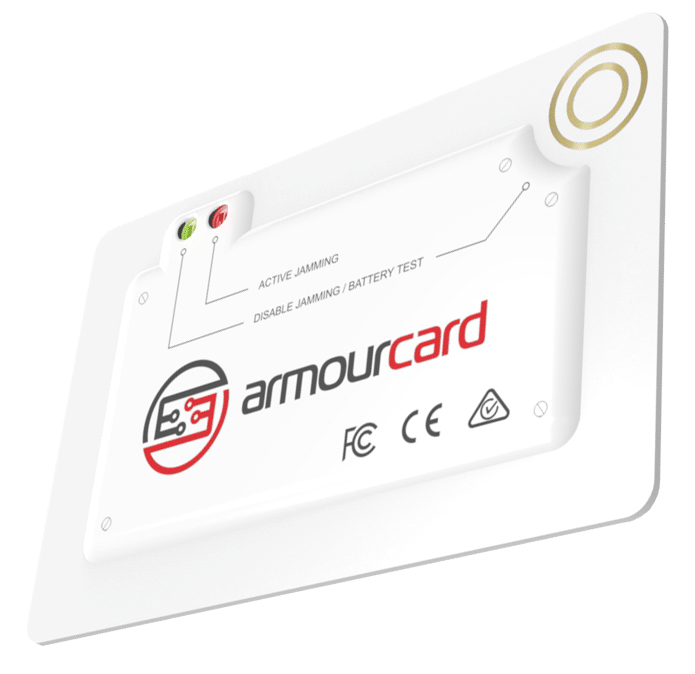 We created Armourcard with patented* technology inside that can now offer ‘ACTIVE RFID PROTECTION’ so we and you can feel secure using this RFID / NFC technology that is rolling into our lives in a big way now & in the future. After researching what was on the market did not want our personal data’s security left to the questionable effectiveness of passive RFID shielding or blocking items (wallets, sleeves etc) on the market. 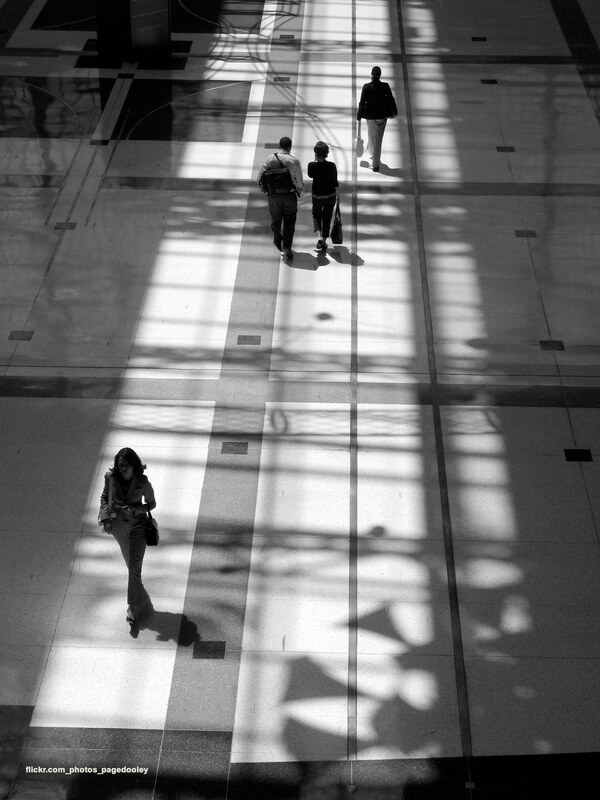 What is the difference between ACTIVE and PASSIVE protection? Firstly lets break down what we mean by ‘Active’ & ‘Passive’ protection. What is Passive RFID Protection? What is Active RFID Protection? 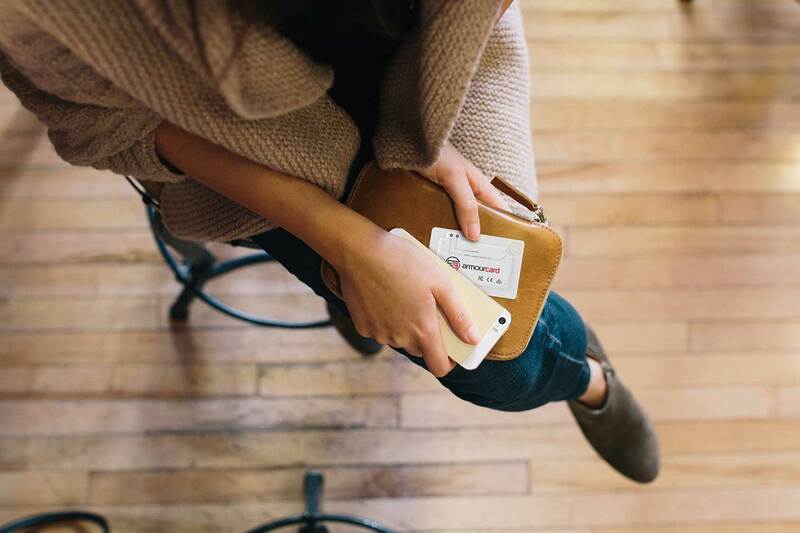 Armourcard‘s patented* ‘Active RFID Protection’ means that once you place Armourcard in any wallet or purse it is ready to protect you and your data electronically. If a criminal tries to read any of your RFID enabled cards, Armourcard instantly powers up and puts out a battery boosted jamming signal that electronically jams the communication link between your contact-less cards (Tap & Go) and the criminals reader trying to skim them for your personal data. Unlike other passive card type protection, Armourcard does not rely on the power of a RFID signal to power up its jamming forcefield, that is why Armourcard can jam and protect with a greater protective field of over 150mm (6 inches) in total giving you a superior battery boosted electronic forcefield of protection around your RFID cards & documents. Jamming is better than blocking. 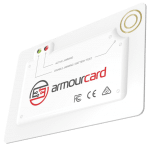 Armourcard offers ACTIVE security measures that electronically JAM all signals operating on the frequency these contact-less devices communicate over (13.56 Mhz). Armourcard is powered by its own power source (battery) so doesn’t rely on the electromagnetic fields created by Radio Frequency to power up Armourcard’s electronic jamming force-field. When Armourcard detects a RFID reader trying to communicate, it instantly powers up and jams all signals regardless of who’s it is. Doesn’t matter how much the hacker dials up the RFID signal it will not circumvent Armourcard’s jamming of the communication link these devices communicate over. 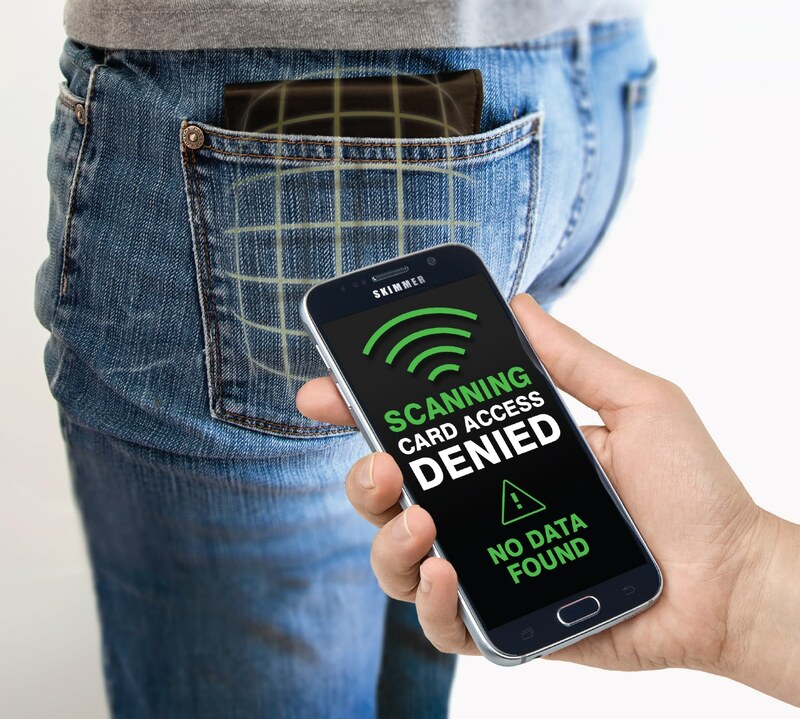 ^ “Passive Shields or metallic wallets – Only reduce the signal strength, this will not block a high-powered RFID reader” – Credit Card Fraud Report – The contact-less Generation | Kristin Paget | Chief Hacker, Recursion Ventures. Please note Kristin Paget does not sponsor or officially endorse this website or product, we have only referenced a report that is freely available online to download and read. All credit for the report and its findings go to Kristin Paget.